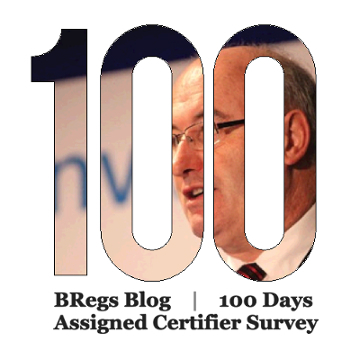 The BRegs Blog conducted a survey of our readers to attempt to record their responses to working as Assigned Surveyors over the first 100 days of the operation of the Building Control Management System (BCMS). 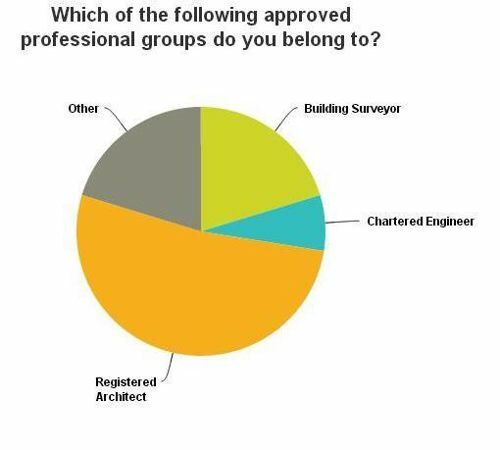 The survey was carried out over a five day period up to Friday 13th June 2014. Unfortunately the number of those who responded to the survey who had actually submitted a ‘Long Form’ Commencement Notice was too low to get reliable indicators of attitudes and experiences to operating the new system. This is not surprising with so few actual ‘Long Form’ Commencement Notices being submitted nationwide (approximately 468 to 17th June 2014). However we are very grateful to all those who did respond and here are the survey results. The overwhelming majority of responses were from those who had not submitted a Commencement Notice under the BCMS and this was for a variety of reasons including 20% of responses coming from architectural technologists who are not permitted by the legislation to act as Assigned Certifiers. The remaining responses were from architects (50%), Surveyors (20%) and Engineers (10%) and seem to be more reflective of the make-up of our readership. The main reason given in the responses for not taking on the role of Assigned Certifier was “unwillingness to take on the increased liability (30%). 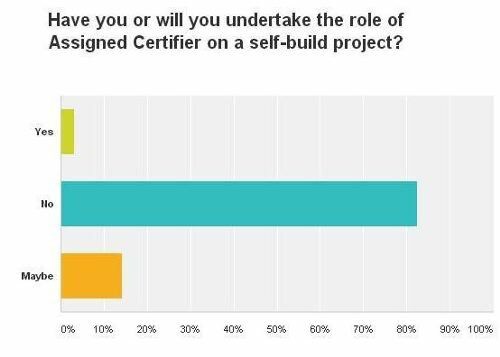 83% of respondents said that they would not be willing to be an Assigned Certifier on a self-build project. 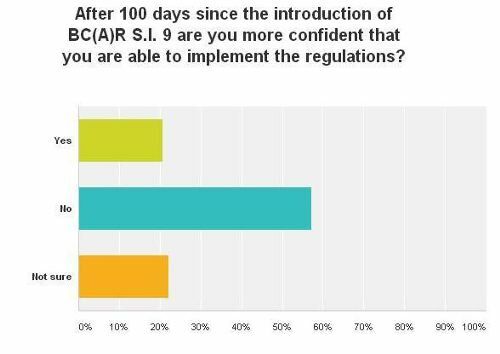 60% of respondents “did not feel more confident” or “remained unsure” (20%) about their ability to implement the Building Regulations 100 days after their introduction. Attitudes on whether the new system would improve compliance with Building Regulations on Irish building sites was evenly split between “yes” (52%) and “no” (29%) or “not sure” (19%). 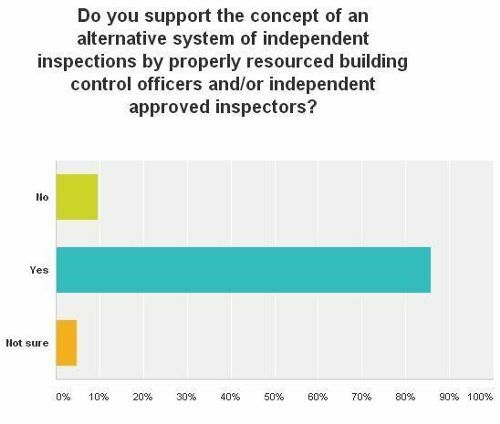 86% of respondents supported the concept of an alternative system of independent inspections by properly resourced Building Control Officers and/or independent approved inspectors. This is almost identical to the result of our survey of Building Control Officers.